During my last few blog posts I have been introducing to you the lovely Emily McGonigle Photography senior models. I have one more senior model to introduce you to for 2016, and that is Emily Domer! Emily is a rising senior and athlete at Eagleville High School. Emily plays basketball, is planning on taking part in putting the yearbook together next year, and is planning on taking a photography class in school. She also enjoys traveling and is killer in front of the camera! 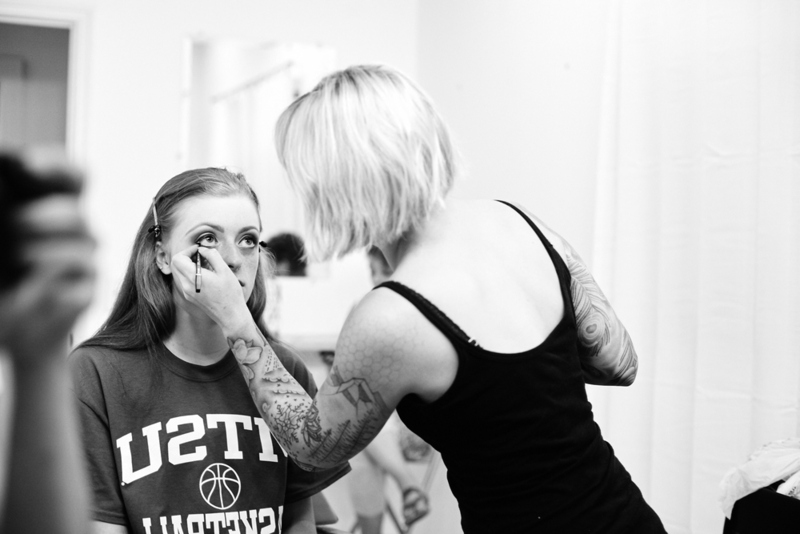 Check out the Behind the Scenes photos and finished images from Emily's Model Session below! I'm now booking senior portrait sessions for the class of 2017 (and any class of 2016 graduates that maybe... didn't have a lot of time to get it done during the year ;) ). If you know Emily personally, she can tell you first hand about her experience working with me. Once you're done chatting with her, head on over to my contact page, let me know that Emily sent you, and we'll get started planning your own awesome, custom session! Also, thank you to Katie Vellman for doing a fabulous job on Emily's hair and makeup, and to Matthew Simmons for his help on set.